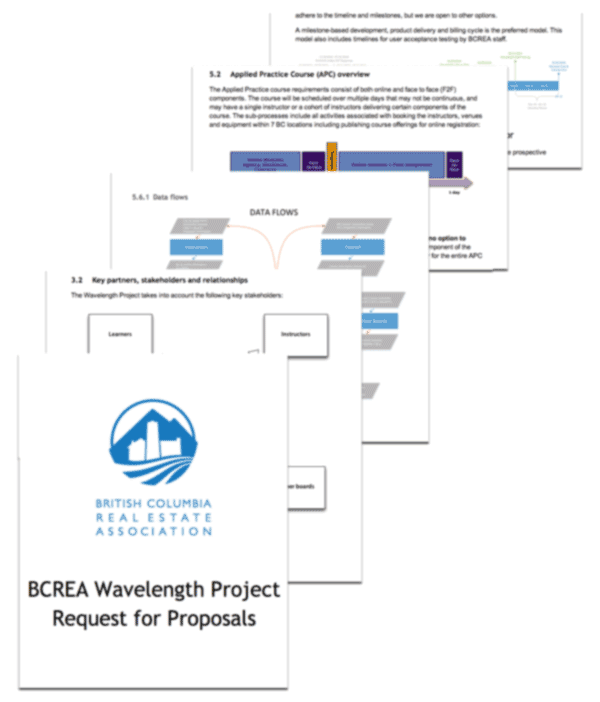 The Wavelength Project’s goal is to build a modular and extensible platform that consolidates, automates and replaces several British Columbia Real Estate Association platforms and processes, allowing BCREA staff to work more efficiently and reduce duplicated effort. 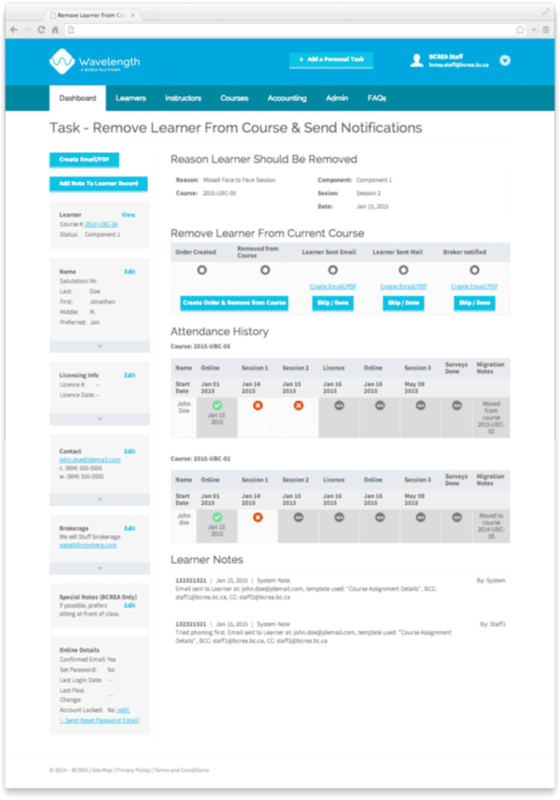 The project will also create a central data storage location, and it will leverage this common data store for analytics, ongoing organizational learning, and to create additional value and increased transparency for BCREA, its partners, its stakeholders, and learners. 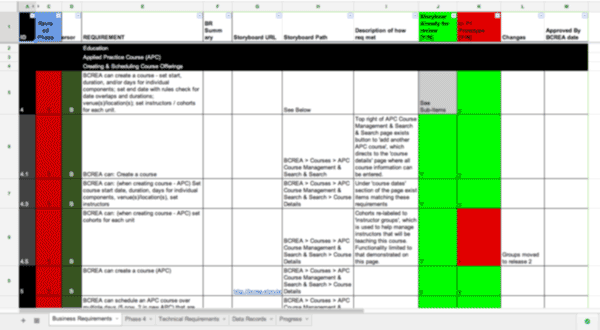 With the launch of the new Applied Practice Course (APC) in January 2015, Wavelength’s primary focus for 2014 is to build a platform that allows BCREA to manage the delivery and tracking of the new APC. Wavelength will allow BCREA to process the registration and track the progress of prospective realtors who will be required to take the new APC starting January 1, 2015. This project will also serve as a showcase of methods and tools that can be adopted by BCREA’s partners and stakeholders, further increasing the value created by the associations and boards of British Columbia – and Canada’s – real estate organizations.